Sustainable House Day is an annual event held across Australia in September. It typically falls on the second Sunday in September, although the date may vary. The event aims to educate a wide audience about energy efficiency and sustainable living. The term “sustainable living” refers to a lifestyle that attempts to reduce the use of the Earth's natural resources. Sustainable houses are resource-efficient and environmentally responsible that is why they are also known as green homes or green buildings. The construction of a green building requires close cooperation of the design team, architects, engineers, and the client. Sustainable House Day was launched in 2001 by the Australian Solar Council (then the Australian Solar Energy Society). It gives people an opportunity to talk with the owners of sustainable homes as well as with designers, architects, and engineers involved in construction of green buildings. People have a chance to visit sustainable houses and receive unbiased firsthand advice from their owners. 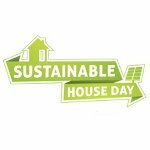 In 2015, the Alternative Technology Association and EnviroShop took over the coordination of Sustainable House Day. They encourage community groups across the country to get involved and help raise awareness of the benefits of sustainable living.